I just ordered my first chicks and they will be here April 13th--I'm really excited I ordered Australorps, Wyandottes, Plymouth Rocks, and Easter Eggers. I'll post some pictures as soon as they get here. 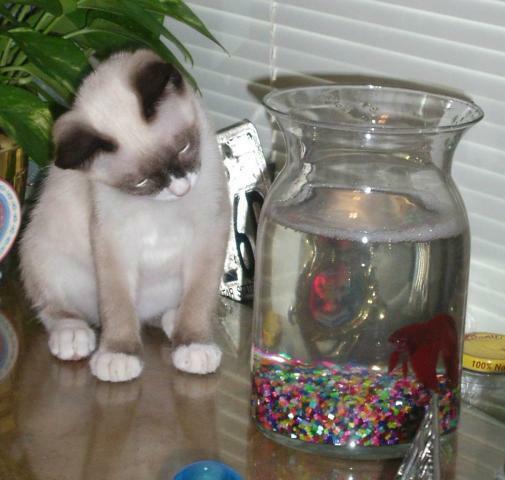 Paco as a kitten trying to figure out how to get my fish (Raymond). 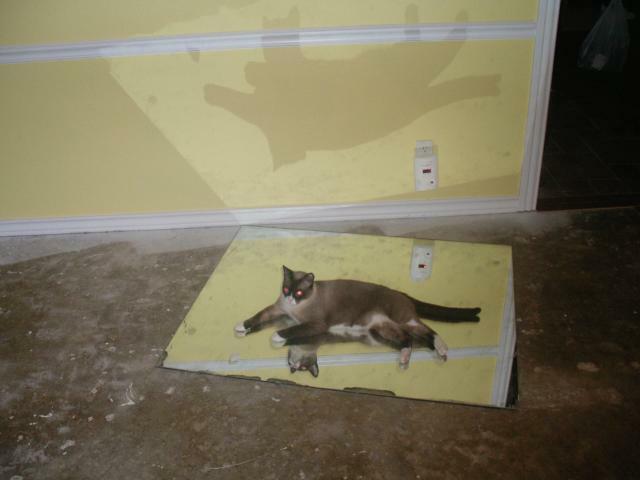 He was rescued from Wal-Mart as a pitiful, skinny, scared kitten hiding under a garden pallet. 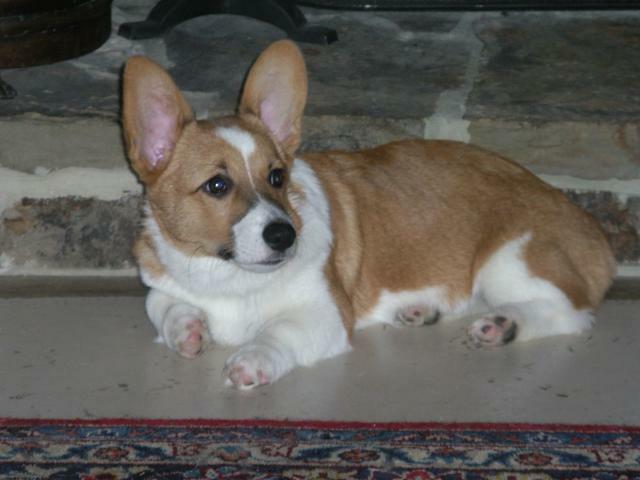 He is sweet, loveable, and can do tricks! Paco all grown up---He's so vain! We were remodeling the house and had the mirror from the bathroom laying on the living room floor. He would lay on it for hours and stare at his good lookin' self. 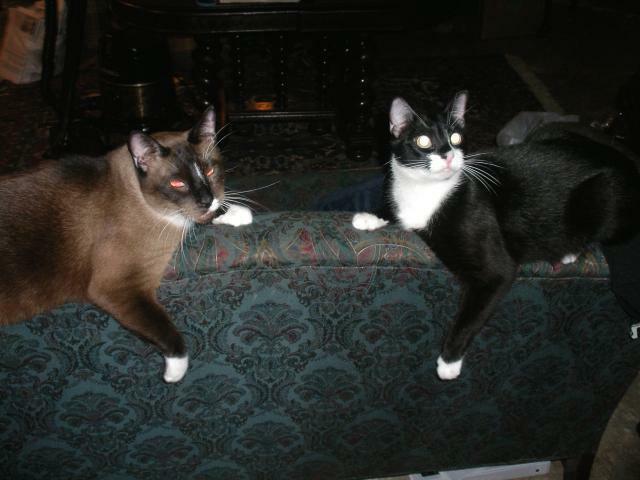 Bobby (left) and Tator (right) in matching poses on the back of the old love seat. This is Missy who passed away in November of 2007 at 16 years old. 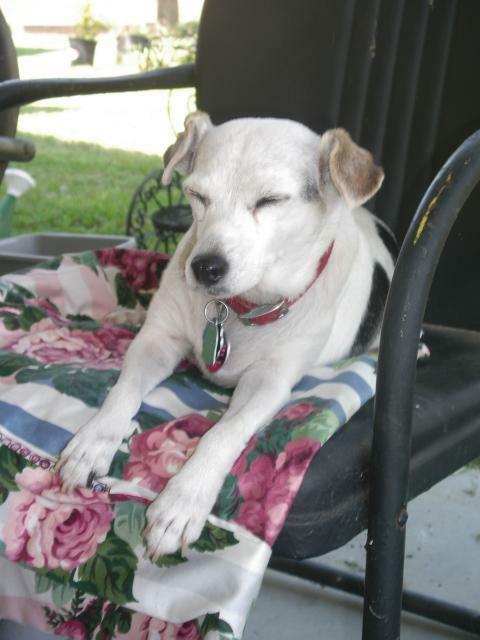 She was a rat terrier that I got when I was 5 years old--extremely sweet and a big part of the family! She is the mother of Pinky. 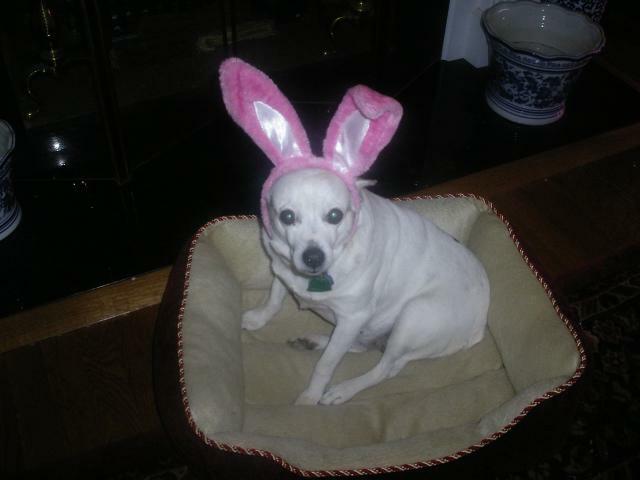 Pinky gearing up to be the easter bunny--she is so precious! You can tell how excited she is about it haha!! She will turn 17 this June She's like my little sister!